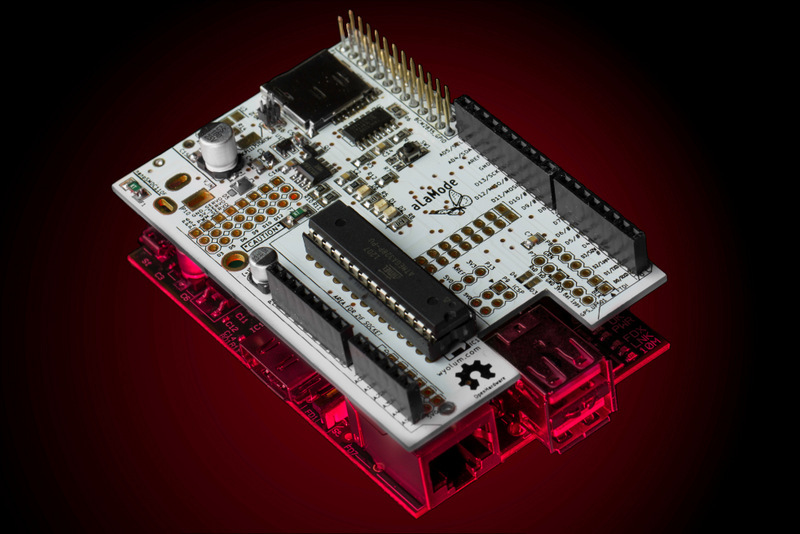 The AlaMode from WyoLum is a pretty cool board that runs Arduino and stacks on top of the Raspberry Pi, connecting through its GPIO header for communication without external wiring. Here is a writeup of how to get Grbl Controller running on the AlaMode. I did have to make a modification to Grbl Controller to support it – not because of a problem with AlaMode, but rather due to assumptions I made on how the serial port would behave on any board running Grbl – see notes at the end of this page for details. First, configure the Pi to work with AlaMode. See this page for steps to perform. After running the command I saw avrdude both writing and reading (verifying) the file successfully. Let’s see if Grbl is running. Now we need to make sure Grbl Controller works correctly. Due to the special configuration required of the serial port by AlaMode, you must use at least version 3.3.8 of Grbl Controller to manually enter the serial port. This is because Grbl Controller can’t see /dev/ttyS0. Additionally, version 3.3.8 supports a pre-initialized Grbl (more on that at the end). You should now be able to use Grbl Controller. Prior to 3.3.8, Grbl Controller would presume that opening the serial port would result in Grbl resetting and reporting its version. This is not the way AlaMode works – the drivers on the Pi open the port upon boot and so we lose the version report. A modification was made to Grbl Controller to send a Ctrl-X if it can’t get the the version upon opening the port. The Ctrl-X is a soft reset of Grbl and will generate the necessary version report. As I run into some minor issues using my arduino+netbook. I have begun to wonder about an alternative setup. 1. Would it be possible to just run grbl on the raspberry pi and not have an arduino in the loop? I have to re-count the number of IO pins I guess. I was just intrigued by this because it may eliminate the connection problems I am having on my usb-connected arduino. This page describes just such an approach! You don’t need a netbook connected – you build Grbl Controller on the pi itself and let the pi talk to the Alamode arduino-clone. All you need is a monitor connected to the pi’s hdmi port and keyboard/mouse. As far as running grbl elsewhere – a better solution is to use something like linuxcnc, because I don’t know of a way to run grbl except on arduino. Wacky question, will i need a sd card in both the alamode and the pi?